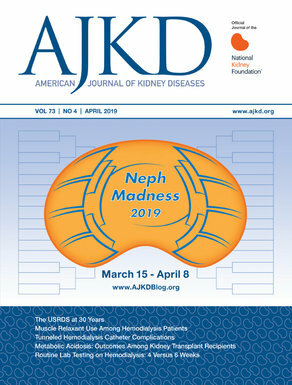 Recently, eAJKD polled our readers on their interest in nephrology. Recent trends have noted a dwindling interest in applying for fellowship in nephrology. We asked our readers if they had to do it all over again, would they still choose nephrology. 75% of the respondents said yes, 18% said no, and 7% were not sure. Multiple factors influence residents as they choose a subspecialty: research interests, mentorship, exposure, debt, lifestyle, and job security in the field. A series of articles recently looked at career choices amongst fellows in training in nephrology and practicing nephrologists in USA. These findings signal the importance of exposing trainees at all levels to nephrology early in their careers through involvement in research, electives, and mentoring. In summary, we are pleased that the majority of the respondents felt that they would do nephrology all over again.